You could be working easier. Work can be stressful and we have all, unfortunately, experienced that. The main culprit behind this is that dealing with lots of tasks at once can make you lose focus and become nervous. It is a known fact that you need to take a break from time to time — to stand up, relax or take a walk in the office. Small things like these can really make a difference when talking about your office productivity. But that’s just one layer of the cake. There are other ways to make your work life more productive and efficient. There are digital tools (call them sidekicks), that can help you speed things up when you get caught up in a bunch of different projects. To help boost your office productivity, we created a list of several tools and apps to help you in various work related situations. We’ve searched, tracked down and divided our findings into 5 categories you might come across every day. If you need to manage your emails, edit PDF files, delegate tasks or schedule important meetings, we got you covered. When you need an app that makes you project management easier, Trello is unreplaceable, as it is perhaps the first app that pops up when talking about streamlining work. Its biggest upside is that it’s free. If that is not a big enough reason, it is as flexible and reliable as you can get. With its intuitive interface, anyone can use it, no matter the industry, job title or the profession. It is described as one of the most useful tools for teams to track tasks and projects. Just signup and create your projects with boards, checklists and cards in a quick and fun way. Soon enough, you will find yourself managing the majority of your work with Trello. Simply put, it will make both you and your team organized from the beginning till the end of each office project. If you are concerned about missing some important events or meetings, then you are definitely a good fit for Google Calendar, which will enable you to keep your schedule organized and tidy. With Google Calendar, all your important tasks are right in front of you. You will have access to all events so that you never miss anything important and, with the usage of different colors and the possibility to create multiple calendars, it will be your one one and only trusted source for scheduling. You can share all of your calendars with your friends and the whole service is completely free — you just need to have a Google account. The tool now has some new features allowing you to make flight reservations, book restaurants and more. Once you get used to it, you will not want to spend a single day without it. Trust me. Meet Edgar. This is not just a random name, nor a regular social media tool. It is much more than that. Meet Edgar is smart scheduler app that helps you generate web traffic from social channels by publishing everything in patterns. It changes the way predictable way social traffic works. So how does it do that? When you publish something with Edgar, it’s being stored in an organized library. The library is made out of various categories (according to your post types) and by creating a schedule, you tell Edgar when to publish from each category. This is saving you a lot of time since Edgar knows exactly what type of content goes where and how to share it. It can re-share older updates also, so you can squeeze out every bit of engagement on your social channels. 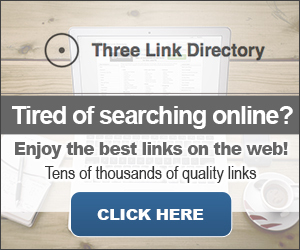 It works straight from your web browser without the need to download any software. PDFs are notoriously difficult to edit by default. Thankfully, with Able2Extract 10, you can make quick changes to your PDF content. You can add and remove text blocks, make your PDF content visually different or customize the entire documents. Not only that but you can also merge and extract documents to and from PDF. Yet, Able2Extract is not just a PDF editor. The tool can create PDFs from various files and convert PDF documents to 12 editable file formats: MS Office, CSV, AutoCAD and Images. Able2Extract is available for Windows, Mac OS and Linux users. You can try it for free, for 7-days, and if you wish to buy it, the pricing starts from $99.95 for the standard and $129.95 for the professional version. And that’s not a lot for a lifetime license. When you think about work emails there is one word that instantly comes to your mind — a mess. SaneBox can help out with this by making your inbox clean and tidy. You can look at this tool as your own personal email assistant, with a single purpose of making your email management more efficient. 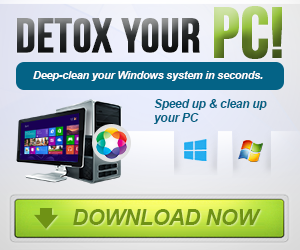 It cleans your entire inbox in minutes, without the need to download or install anything on your computer. SaneBox is constantly learning which emails are relevant to you and creates a filter for unimportant ones, thus saving your precious time. With this in mind, SaneBox gives you everything you need, boosts your email productivity and makes your work smoother and faster. With tools like these, you can increase your work productivity in no time and concentrate on the things that matter. The apps will make your office work much easier, which will in turn boost your overall efficiency. Pick them smart and the rest is up to you.